With three farms in the Central Valley of Costa Rica located in the provinces of Alajuela and Heredia, around the rainforest of the Barva and Poas Volcanos; the strategic location of our 25 hectares of crops provides us with the best climate conditions for the production of flowers, and location close to the Juan Santamaria International Airport, the main departure point for air exports from Costa Rica. 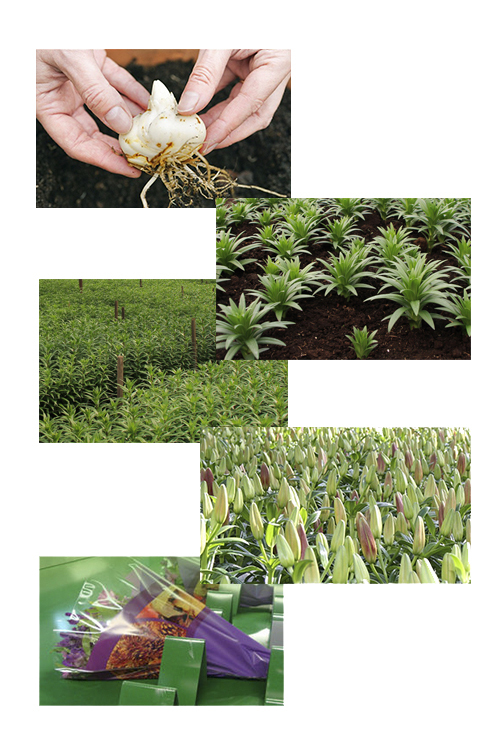 Expoflora grows a high quality of cut lilies using imported bulbs from the Netherlands and South America since 1992. Thru Expoflora Holland we have our own facilities which allow us to grow and take care of our bulbs in all the process; reason why Expoflora Costa Rica guarantees availability of fresh lilies for every season of the year, and allow us to give to our customers great competitive prices.